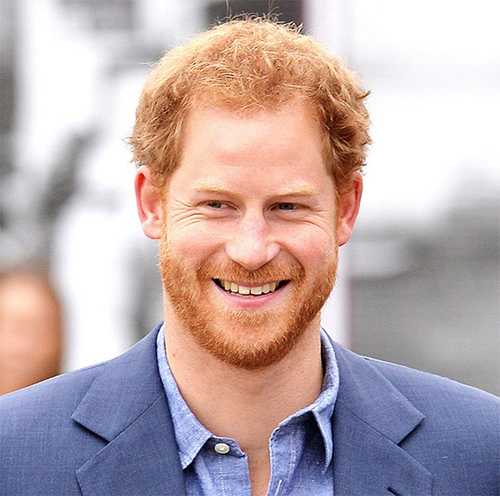 Prince Harry is the world’s most eligible bachelor, but the ginger-haired prince hasn’t had a serious girlfriend in years. Harry hasn’t even hinted that there might be a special lady in his life. In an interview not long ago, Harry said marriage and a family were priorities in his life. The problem is, Harry revealed, a casual dinner date is blown out of proportion and the poor woman is hounded by the paparazzi and hailed as the next Royal bride. With that in mind, it seems all Harry does lately is work and, along those lines, attempting to channel the warm energy of his late mother, Princess Diana. Kate Middleton and other members of the Royal family might be worried that Harry has given up on the possibility of marriage and a family. 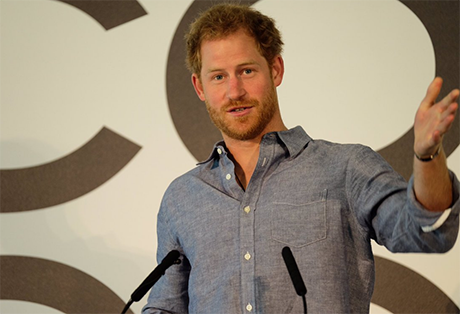 Harry has been on the run for months championing charities for war veterans, HIV testing, and mental health awareness. Adding to his already packed schedule, Prince Harry will soon visit the National Ice Center which Coach Core provide sports apprenticeships to young people between the ages of 16 and 24. Also on Harry’s schedule is a visit to Nottingham on Wednesday, October 26. Kensington Palace announced that the prince will spend the day “focused on youth and local communities.” While in Nottingham, Prince Harry will check in on the Full Effect project whose goal is to help reduce youth violence. Is it time for Kate Middleton to step in and help Harry get back on track? It’s been previously reported that the Duchess of Cambridge is one of Prince Harry’s most trusted advisors. Perhaps Kate could attend a few elegant cocktail parties with Harry. The Duchess of Cambridge could whisper in Harry’s ear, letting him know which ladies seem best suited for Royal life. Kate Middleton tried to play matchmaker for Harry on at least one occasion. The Duchess of Cambridge did her best to make a love match between younger sister Pippa Middleton and Prince Harry. The two seemed to get along splendidly at Kate and William’s wedding reception in 2011. Pippa is off the market now, engaged to James Matthews and planning to wed in 2017. Harry’s exes Chelsy Davy and Cressida Bonas have moved on with their lives. Chelsy is an attorney turned jewelry designer and socialite Cressida has begun a career in acting. Certainly Queen Elizabeth wants to see her grandson happily married with a few little Royal babies of his own? Her Majesty is 90-years-old and in good health, but granny isn’t going to live forever. If Harry wants his wife and children to have the opportunity to meet Queen Elizabeth the prince needs to get serious about his love life. You never know where you will meet the love of your life. The next Royal bride could be a single mum Harry meets while doing charitable work with children and teenagers. That would be a first for the Royal family. Prince Harry lays a wreath at the Metropolitan Police Memorial Garden to honour the 650 staff and officers who have lost their lives in the line of duty during the Met’s history. The force honours its lost colleagues each year with a service of remembrance.PA. Kate Middleton Fails To Emulate Princess Diana: Frosty Duchess Can’t Please Anyone – Queen Elizabeth Sees A Royal Failure?